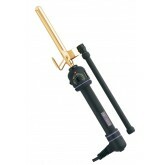 Hot Tools 24K Gold Spring Curling Irons are the beauty industry standard in curling irons. The compl.. 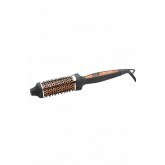 Hot Tools Ceramic Tourmaline Deep Waver creates ultra deep waves in any type of hair. Ceramic and to.. 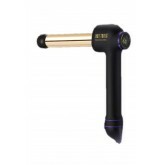 Hot Tools Hot Styler 1.5"
Dual Voltage, Great for travel, Ionic generator produces negative ions to eliminate frizz, Thermal ".. 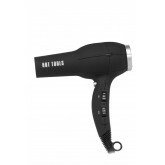 This professional hair dryer is one of HOTTOOL's greatest. This dryer is lightweight, balanced, and .. The Hot Tools Curling Iron is by far the most popular curling iron in the world, its been around sin.. 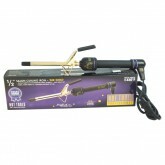 Hot Tools Spring Curling Iron 1103cn 1/2"
Variable heat settings with built-in rheostat control Powerful spring clamp Extra-high heat .. 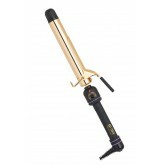 Hot tools gold curling iron/wand features an extra long barrel (2" longer than best-selling iron). 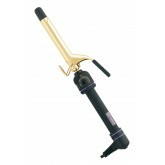 T..
From the makers of the #1 best-selling salon curling irons, Hot Tools introduces the CURLBAR™ .. 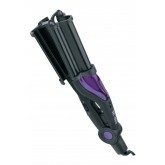 Hot Tools Tapered Curling Irons are the latest trend in clipless curling irons. The tapered barrel a..